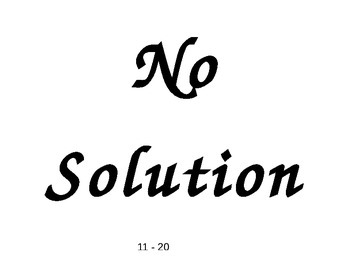 This was designed as a quick means of checking for student understand the difference between equations with one solution, no solution, or a solution of all real numbers. 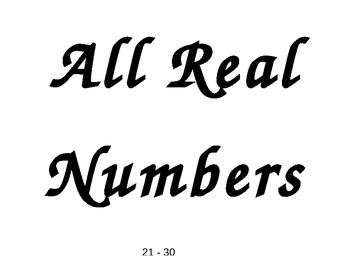 There are three pages with large font - no solution, all real numbers, and one solution. 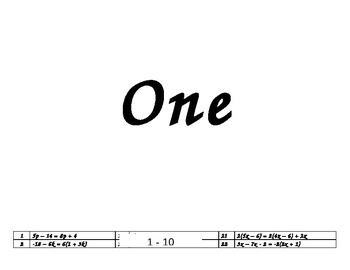 The fourth page is 30 equations to be distributed one to each student. Place the three possibilities around the room in various locations, allow students to go to the answer to their equation and check.